In any case, I decided to try two different types : one with rosemary and the other plain with sea salt – just like at the fair. 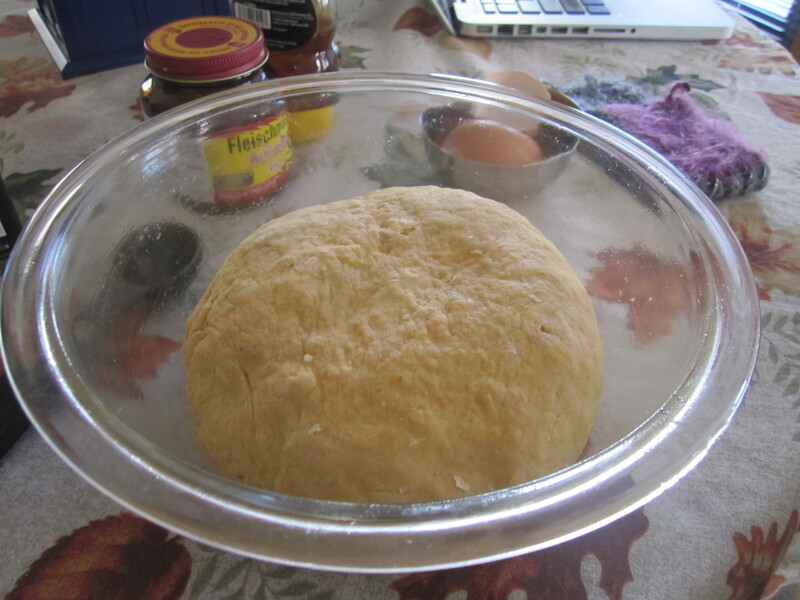 Both were remarkably simple to concoct and the only slightly intimidating portion was the baking soda bath – I’ve never boiled bread dough before, but it was surprisingly simple and stress-free. 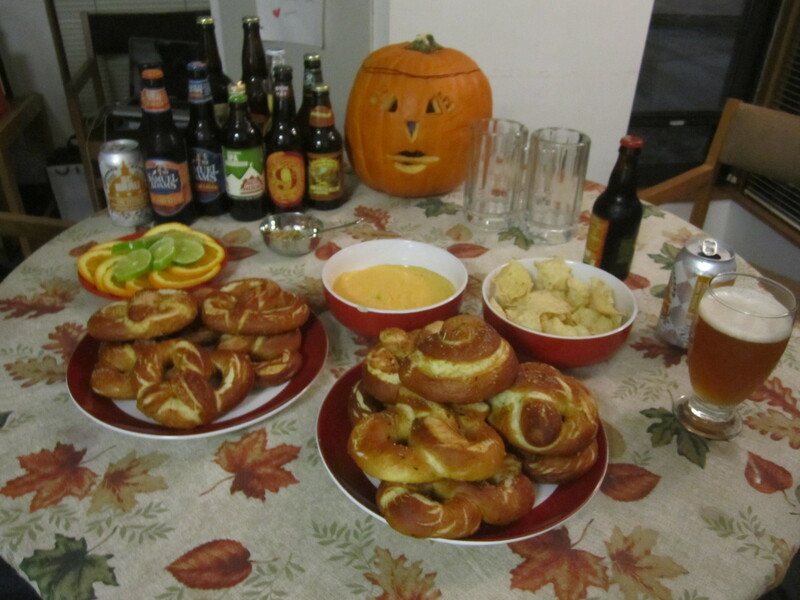 Needless to say, my trepidation about making a new food was unfounded, as everyone devoured these pretzels like it was their job – literally, there were NONE left at the end of the night. I served mine with mustard (and beer…), but for those who don’t enjoy mustard as much as this little dijonnaise (ben, fausse dijonnaise mais c’est pas important), cheese sauce is also welcome. 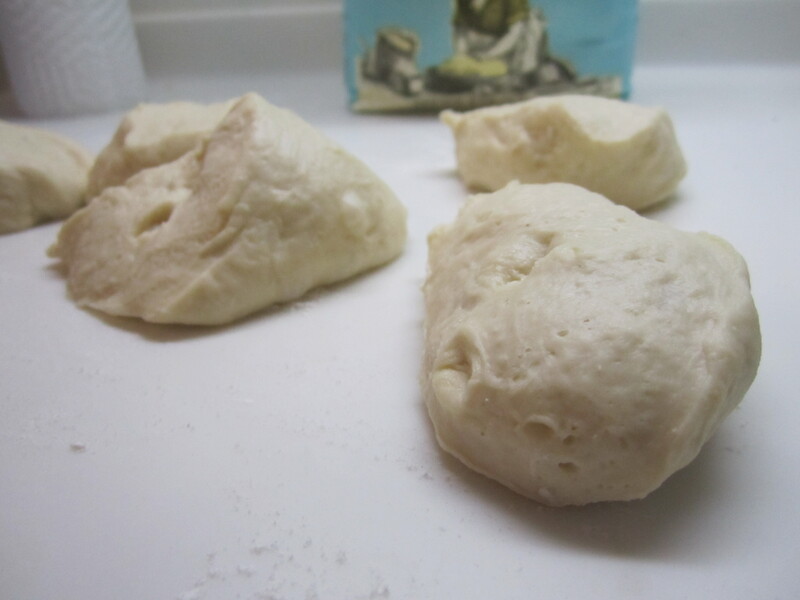 The procedure is the same for both of the dough varieties – I’ll probably intermix the photos but I promise, the process is the same. 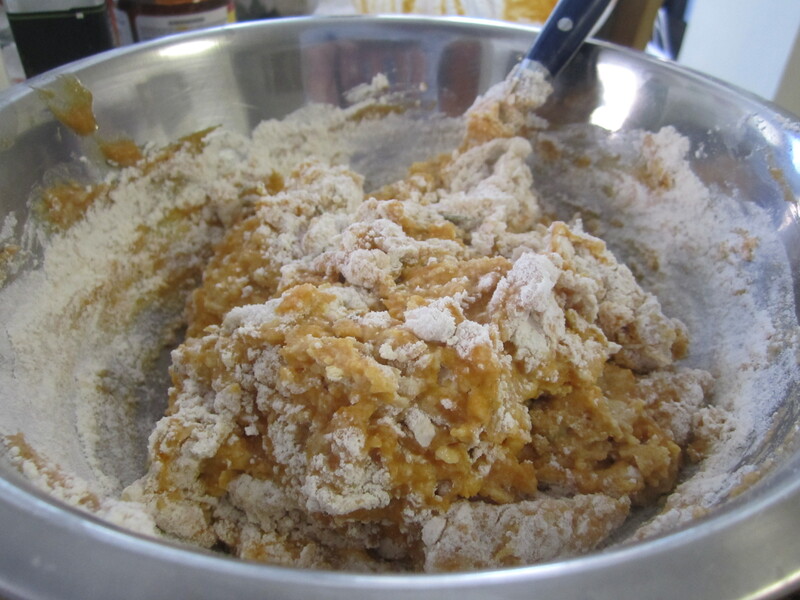 Start by mixing the dry ingredients together. 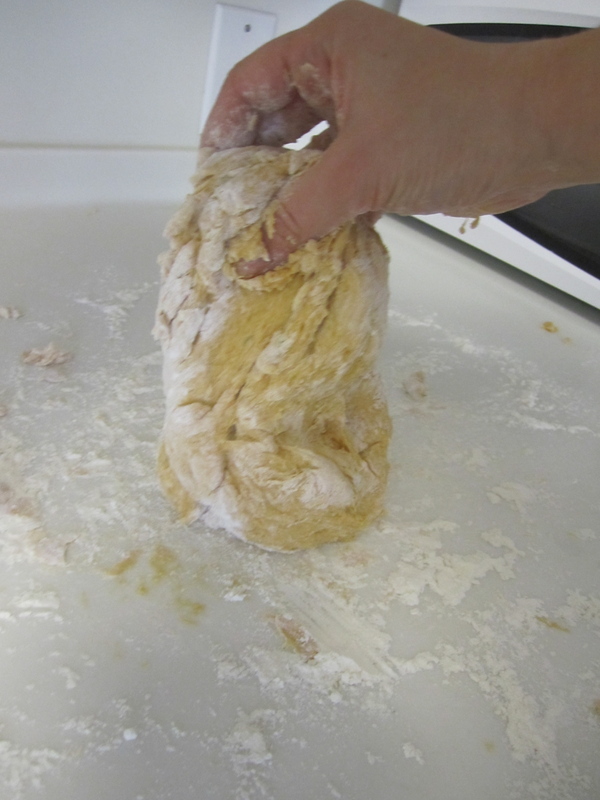 Depending on the kind of yeast (ex active dry or rapid rise) you use, you can just mix it right in with the flour. 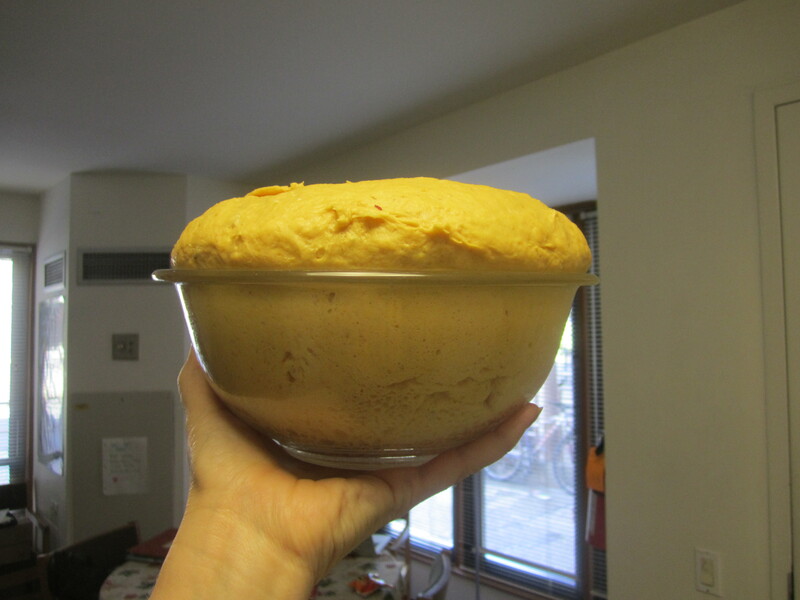 If you are unsure, you can mix the sugar, warm liquid, salt and yeast together in another container and let it proof for about 10 minutes or until nice and foamy. I did NOT do this because I’m lazy and everything worked out just fine. 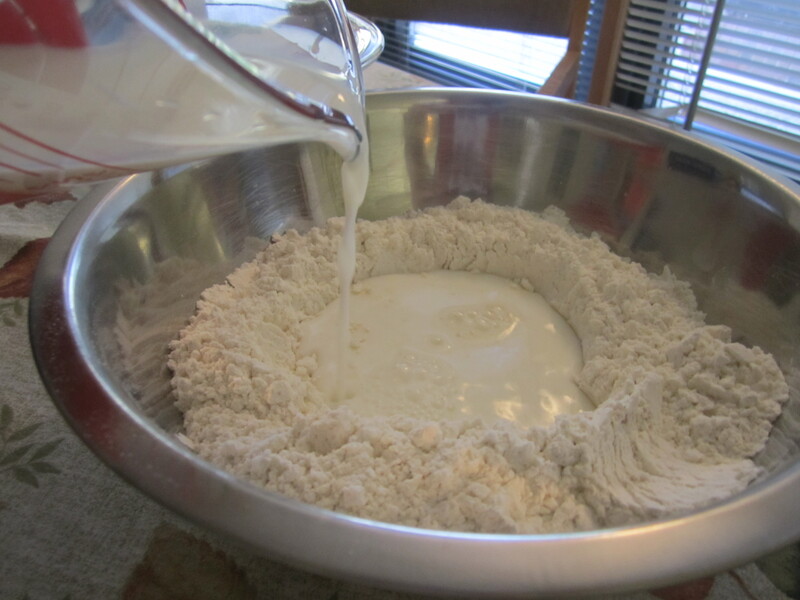 Make a nice little crater in the flour mixture and pour the milk in and oil in to the moat. 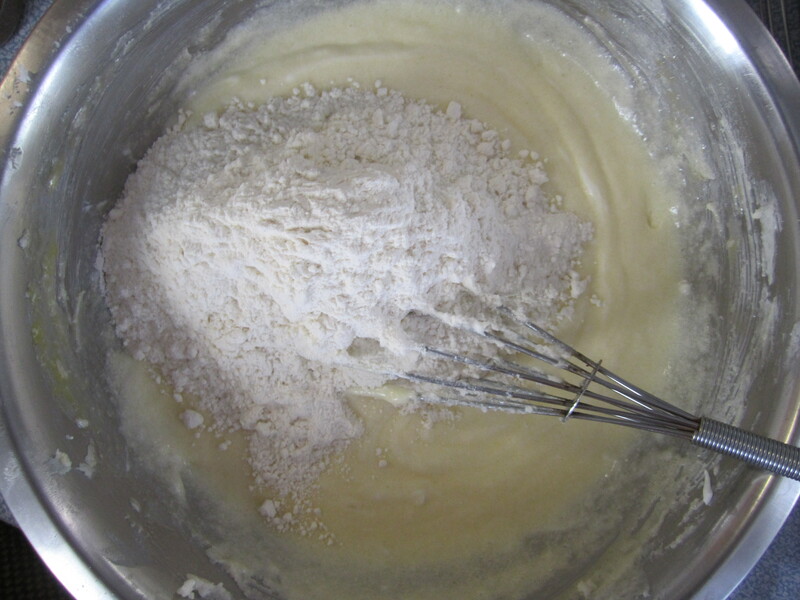 Stir together – I jumped right in and used my hands but if you have an electric mixer, that’s fine too. 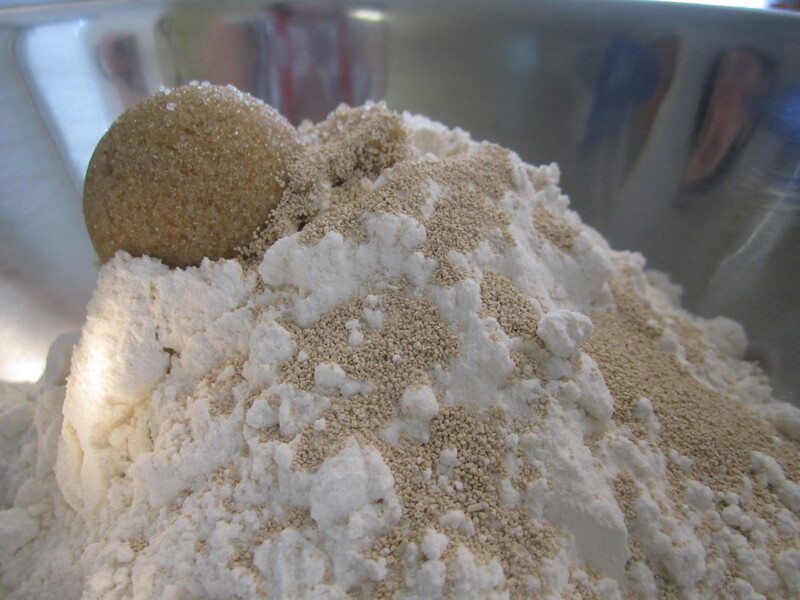 If using an electric mixer, add flour until the dough naturally forms into a ball. 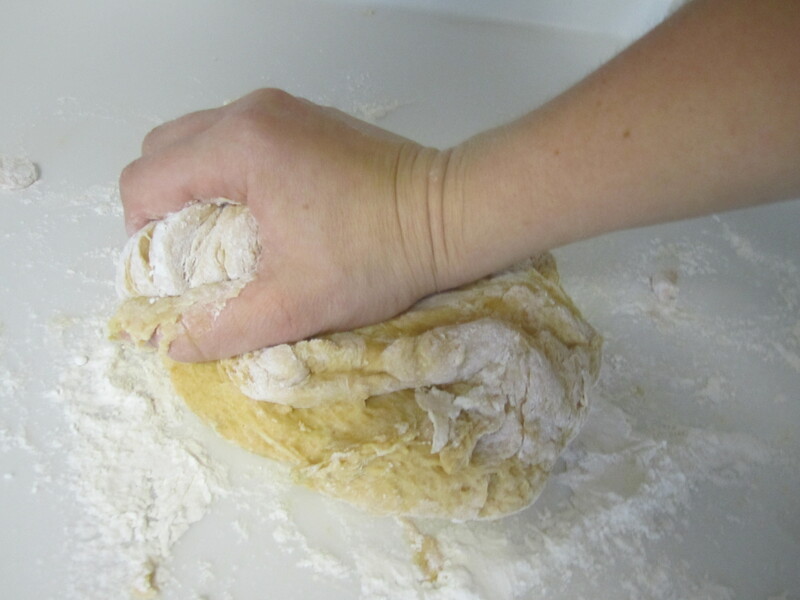 If using your hands and good ole fashioned elbow grease, add flour until you feel you can knead it on a countertop. 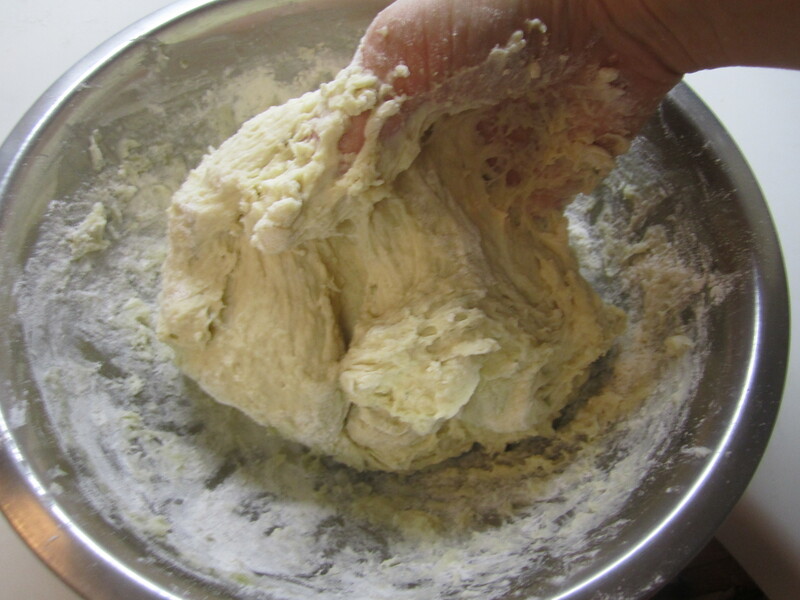 Turn out onto a floured surface and knead for about 10 minutes or until the dough is nice and smooth and feel like (I kid you not) a baby’s bottom. 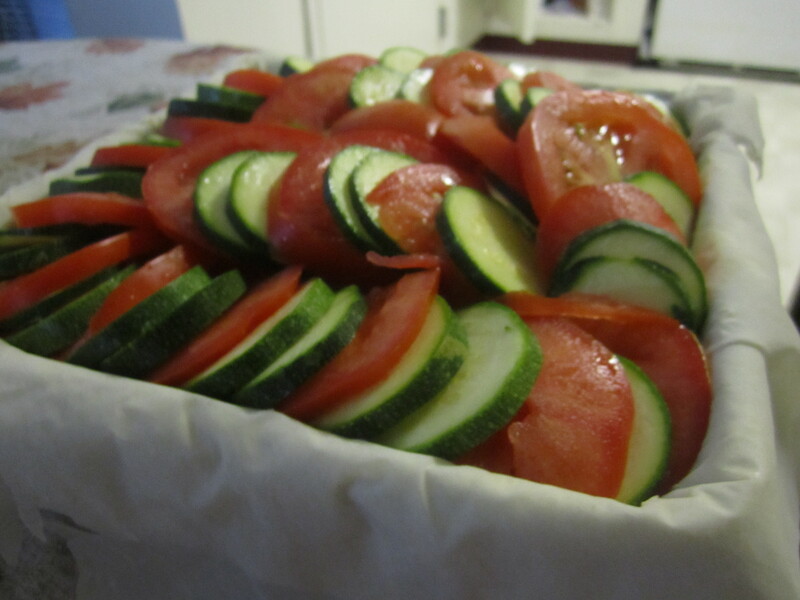 Place in a large, well-oiled bowl and let rise (covered) for 1 hour. 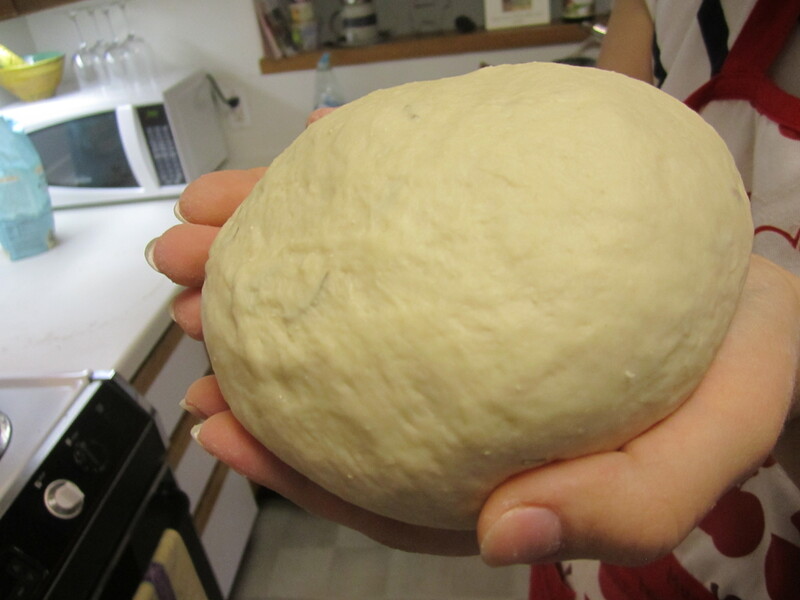 When doubled in size, turn the dough out onto a floured surface and knead a little bit to deflate. Shape into a log and divide into 7 (sea salt) or 8 (rosemary) even pieces. I just used a sharp knife and eyeballed the sizes. Cut with conviction ! 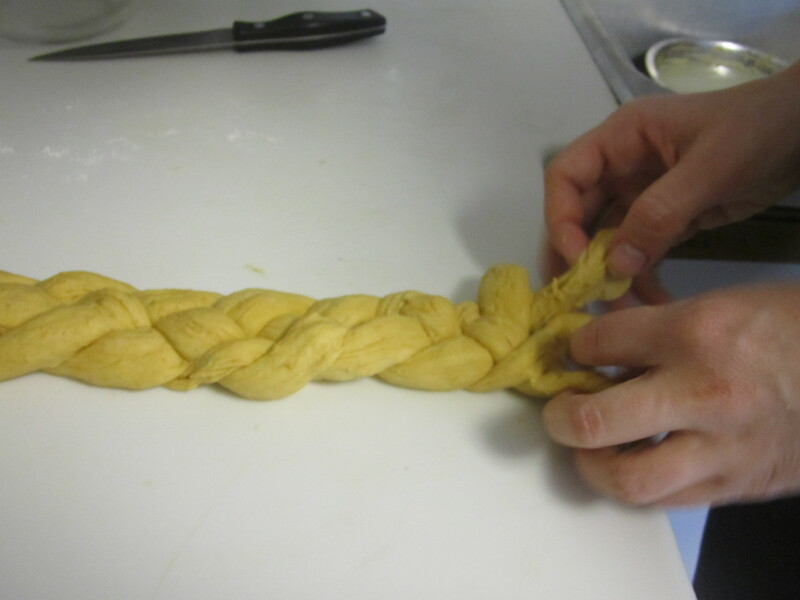 Rolling the smaller pieces into dough can be a little challenging. I made a video (!) but it’s sideways…and I don’t know how to turn it. 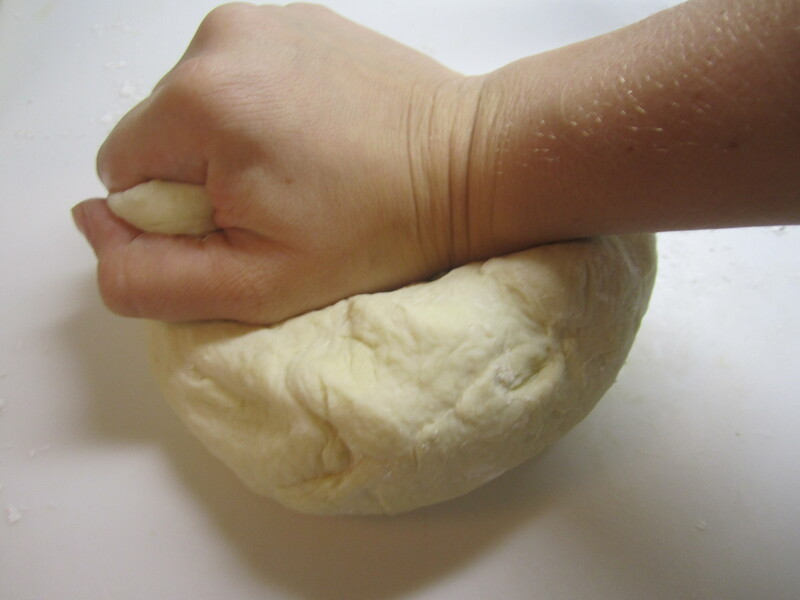 Basically, take the piece of dough and roll it between your hands until it starts to form a cylindrical shape. Then, grasping both ends, spin it like a jumprope, pulling to lengthen. Before you know it, you’ll have a nicely shaped cylinder. 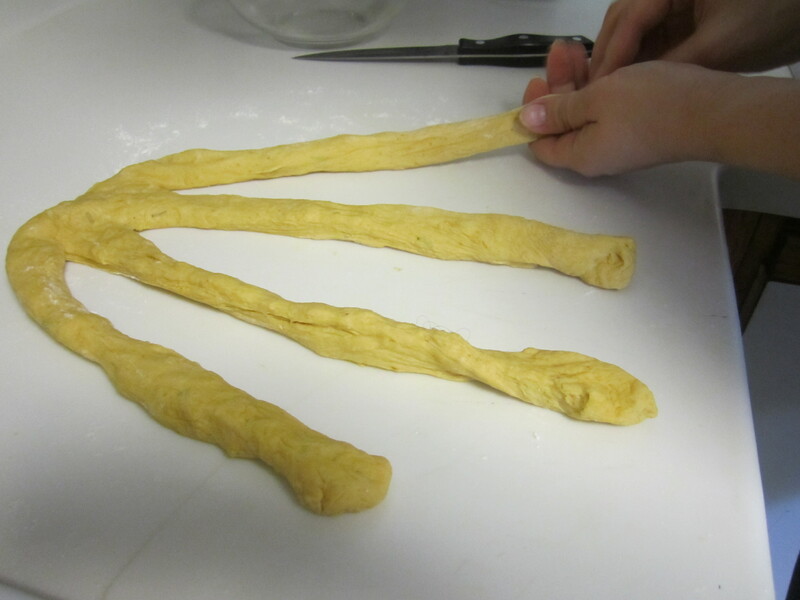 You can even out the shape on the countertop, as you want them to be about the same thickness and to measure just overa foot – these will make a nicely sized pretzel. 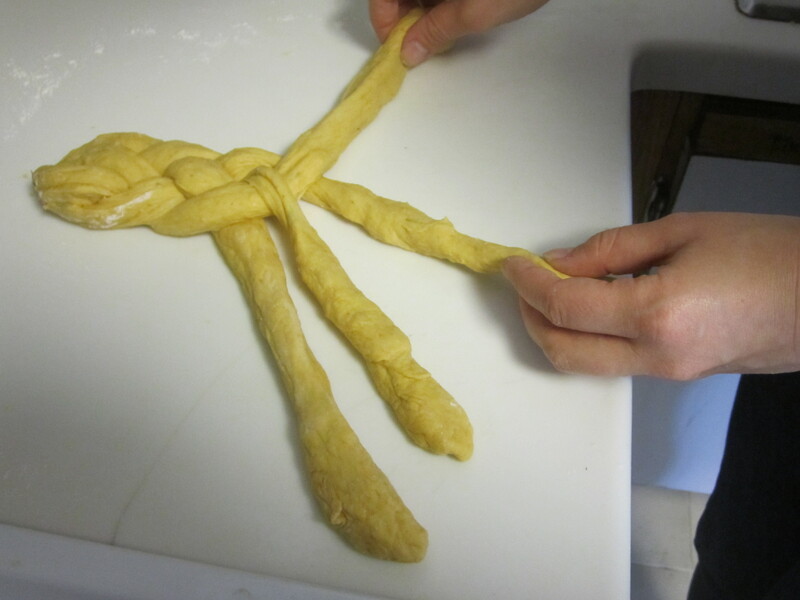 Let the dough rest for about 10 minutes in this shape before reworking into pretzel form. 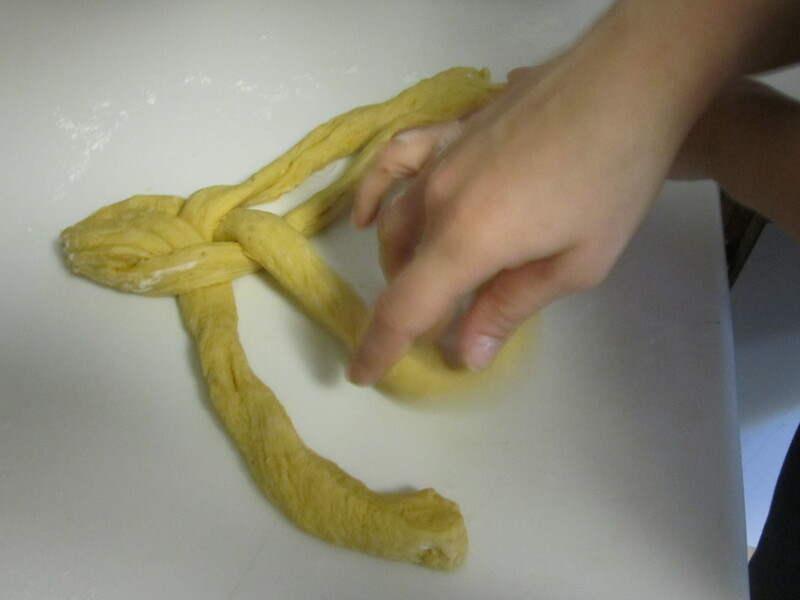 Roll slightly on the counter before turning up the two ends to make a U-shape. Cross these two ends over one another, twisting once. Secure at the bottom of the U-bend, pressing gently but not too hard – we want to keep as much air in the dough as possible. 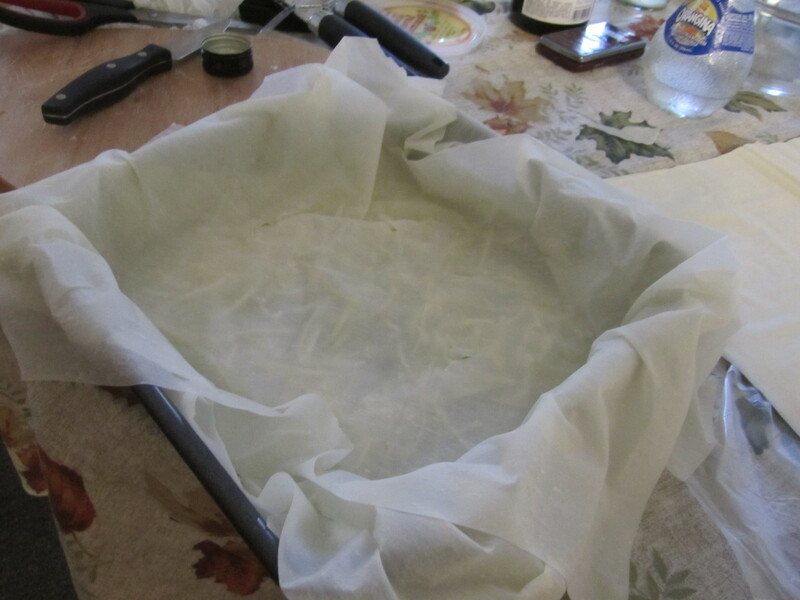 Let sit on the counter and prepare a large cookie sheet (lined with parchment paper OR well-oiled) for baking. Then comes the chemistry lesson. 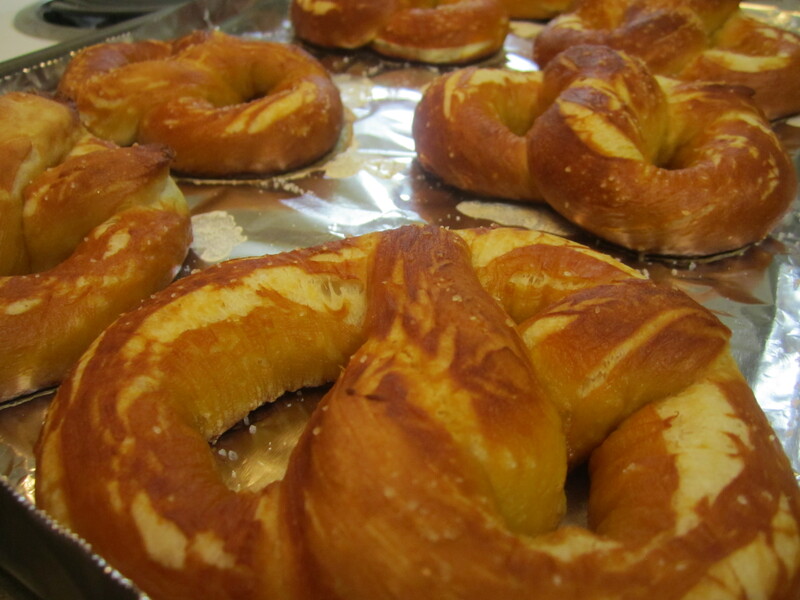 Pretzels gain their unique flavor due to a special ritual completed before baking : a lye bath. Lye is a VERY strong base than can cause burning of the skin, so I balked a little when I discovered this fact. However, lucky for us, a common ingredient on bakers’ shelves is ALSO a fairly strong base…BAKING SODA ! Instead of using lye, I made a solution of baking soda and water. 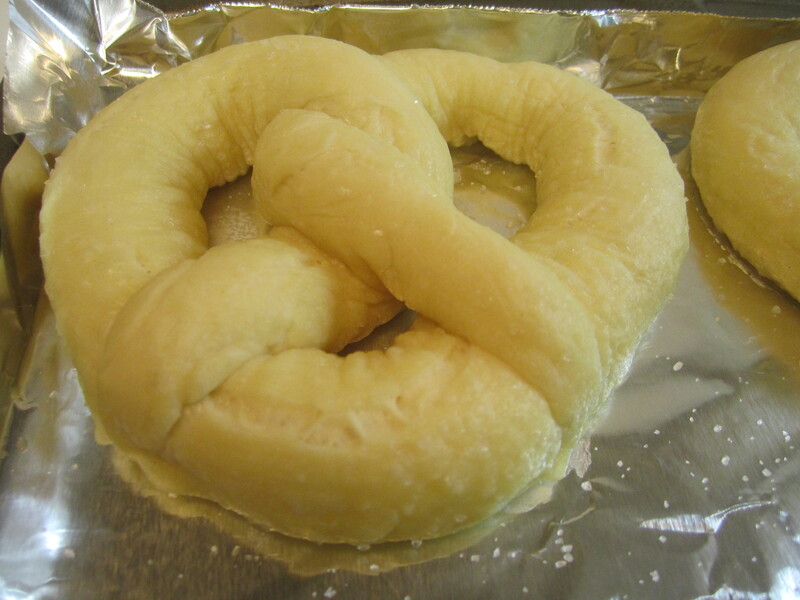 I used a ratio of 4 tablespoons soda to 2 cups of water and the flavor of the pretzel crust wasn’t sharp, yet still retained enough bite to be called a pretzel. 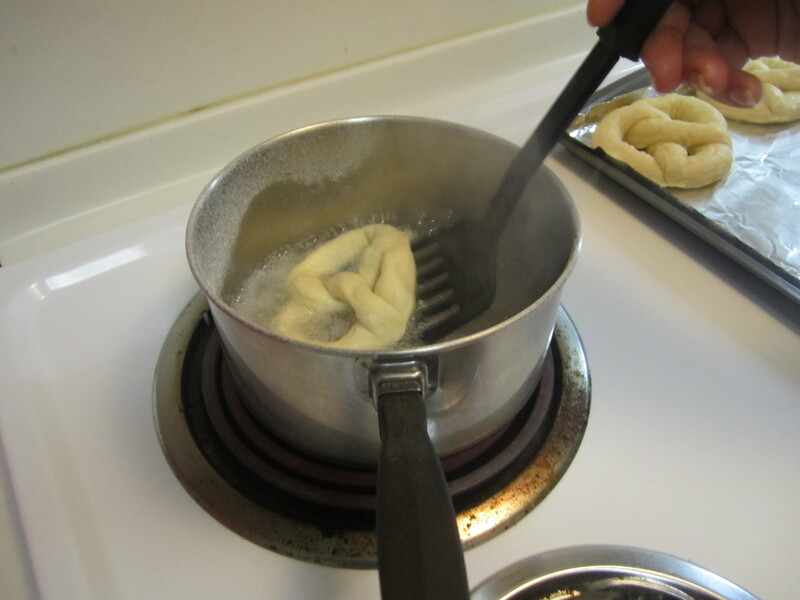 Mix together the water and the soda in a pot on the stovetop and bring to a boil. 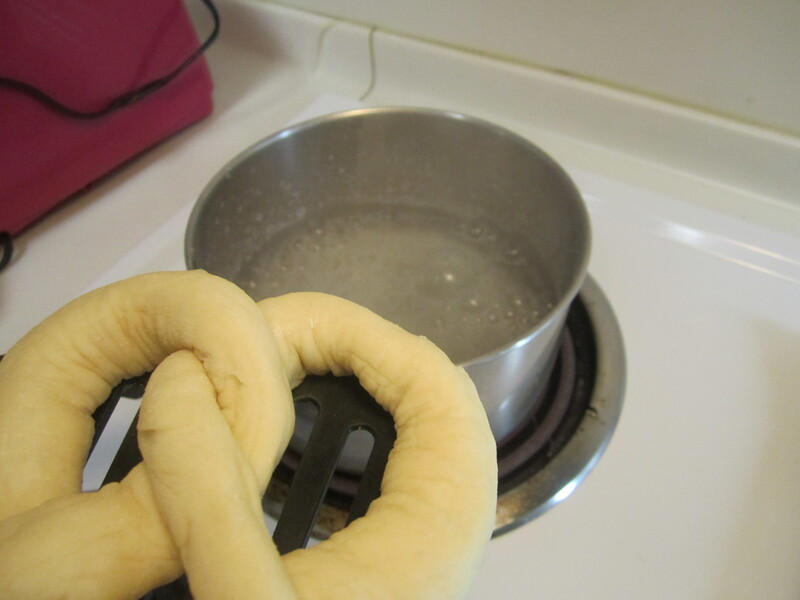 Using a spatula, scoop up the soft pretzel and immerse in the soda bath for about 10 seconds. 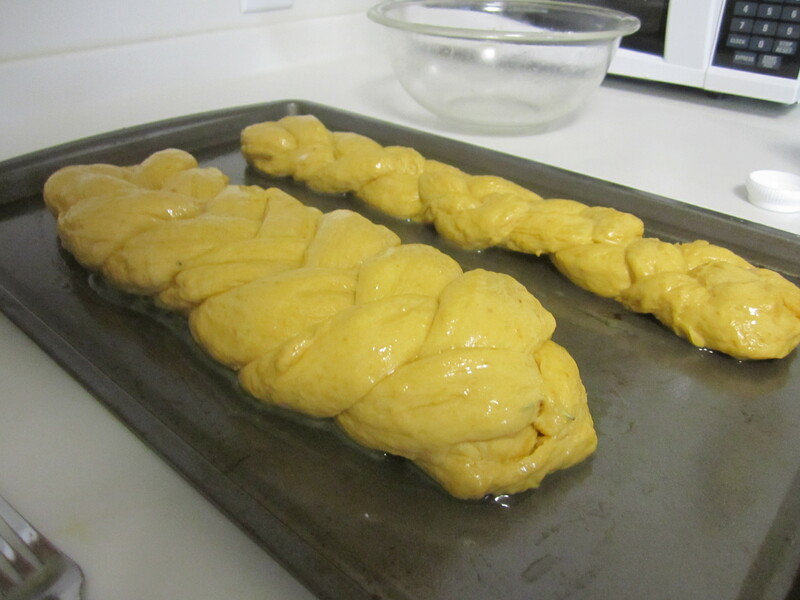 Remove promptly, shake a little, and place on the baking sheet. Sprinkle with salt/rosemary. 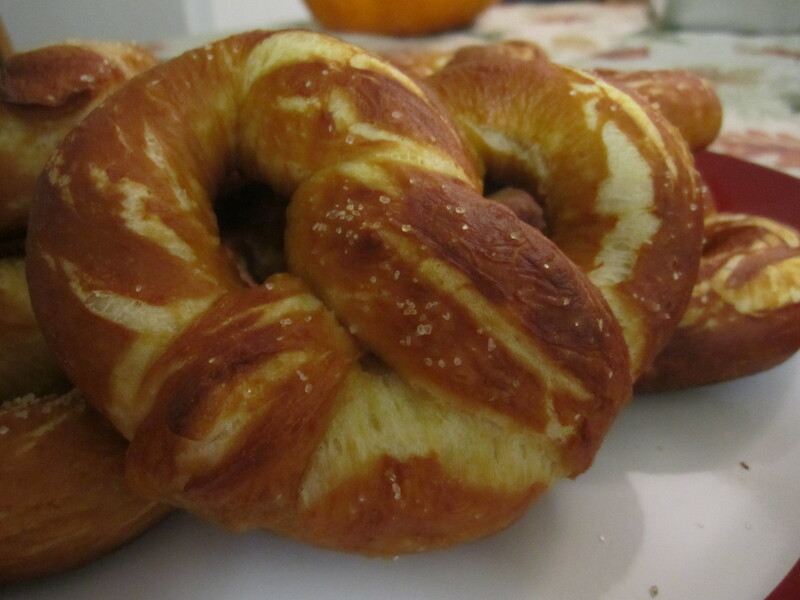 Repeat for all the pretzels. Serve with some Dijon mustard (nice and grainy) or cheese sauce and a stein of cold beer – I recommend Grimbergen amber ale. Delicious. I have a lovely friend, Zachary, whom I rarely see for more than 30 seconds at a time. He has the most fantastic speaking voice I have ever heard, and for some reason, whenever we cross paths, I have a tendency to let out my New York accent (I hail from Boston, so this manner of speaking is entirely foreign and just a voice I imitate), singing “ZACHARYYYY !” from across the room/street/hallway/take your pick. In order to spend a little more “quality time” together, he suggested brunch. 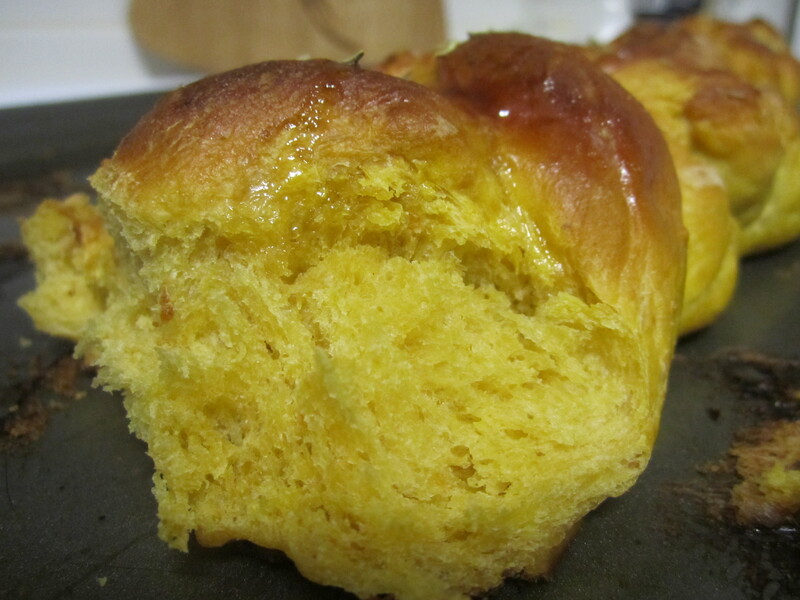 What to make, what to make….Ooh ! I know ! 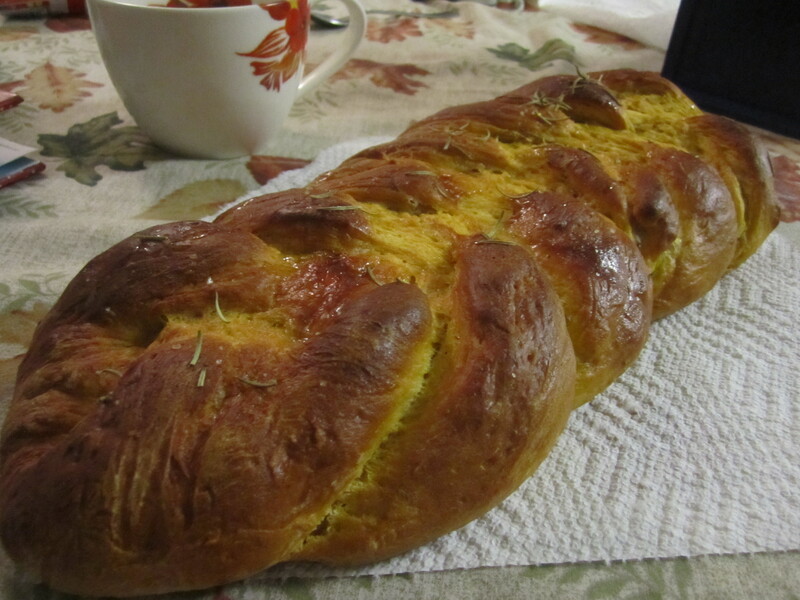 My mom used to make this when I was little and bring it over to the relatives’ place for Easter morning nibbles. I thought it would be an appropriate addition to the Sunday brunch spread, as it isn’t a light cake – made with sour cream, it’s very moist and delicious with (what else?) coffee ! (Or tea, if you prefer a little Earl Grey in your life). 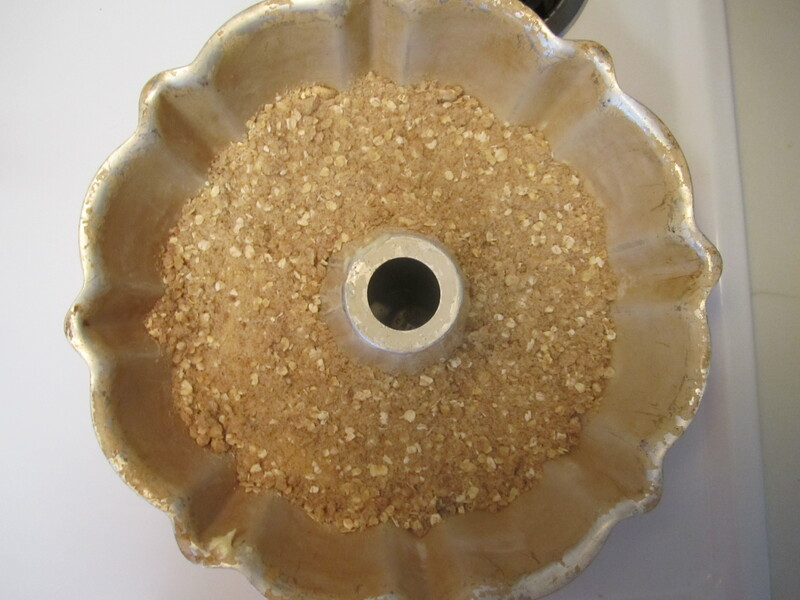 The mixture of cinnamon, oatmeal, and sugar on top is divine – I often add more than the recipe calls for. 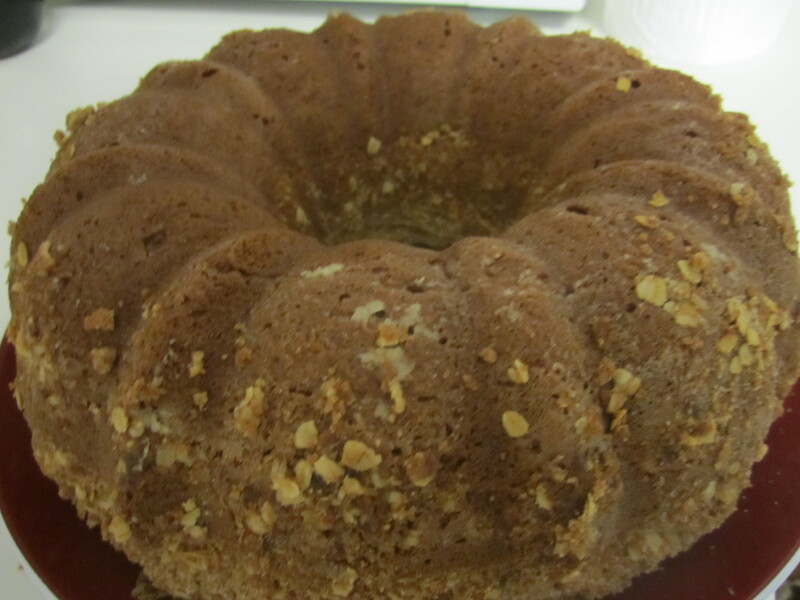 Also – I did not have pecans in my pantry BUT chopped nuts are a must (if you like them) as they bring a little texture to the cake. 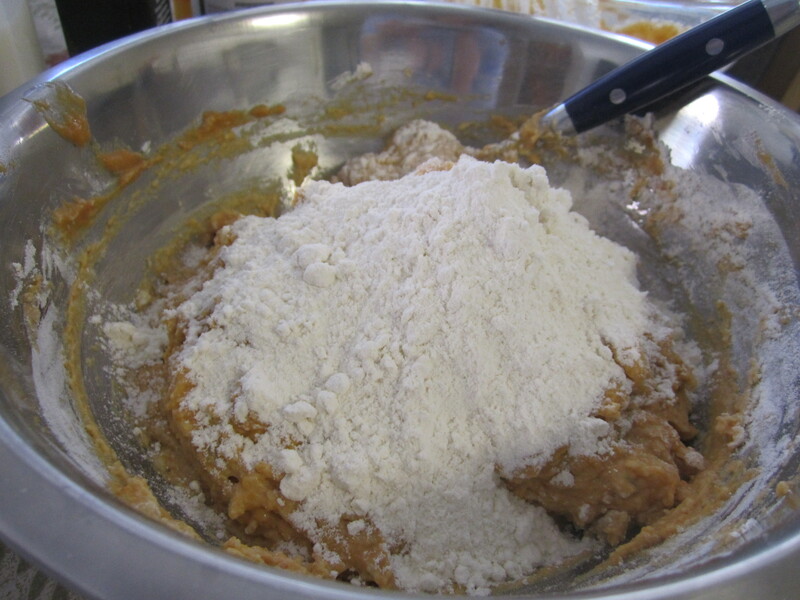 Put the flour, cinnamon, salt, sugar, cloves, and nutmeg in a small bowl and mix with a fork until crumble. Add the nuts and oats and stir to combine. Set aside. Preheat the oven to 350°F. 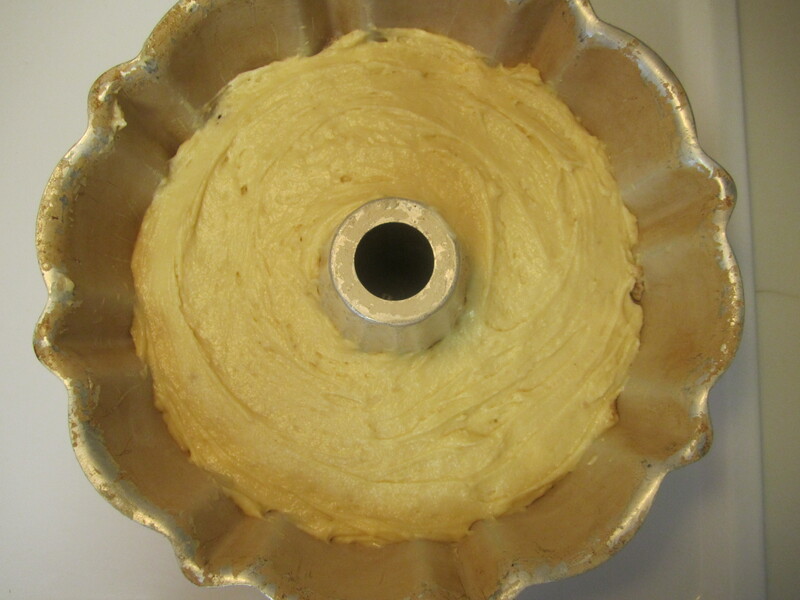 Grease one 9-inch square pan,9-inch Bundt or tube pan, or 9-inch springform pan. 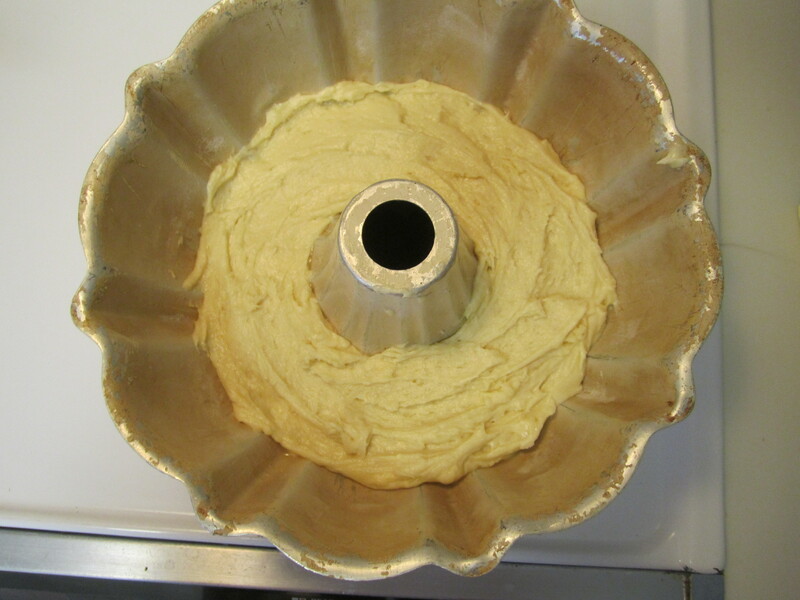 When I say grease, I am not joking, Don’t skimp on the butter or the oil or the Pam when greasing this pan – my Bundt pan is old and dented and definitely not non-stick and I got my cake out just fine; however, know that it isn’t always easy given the nature of the topping. You have been warned ! 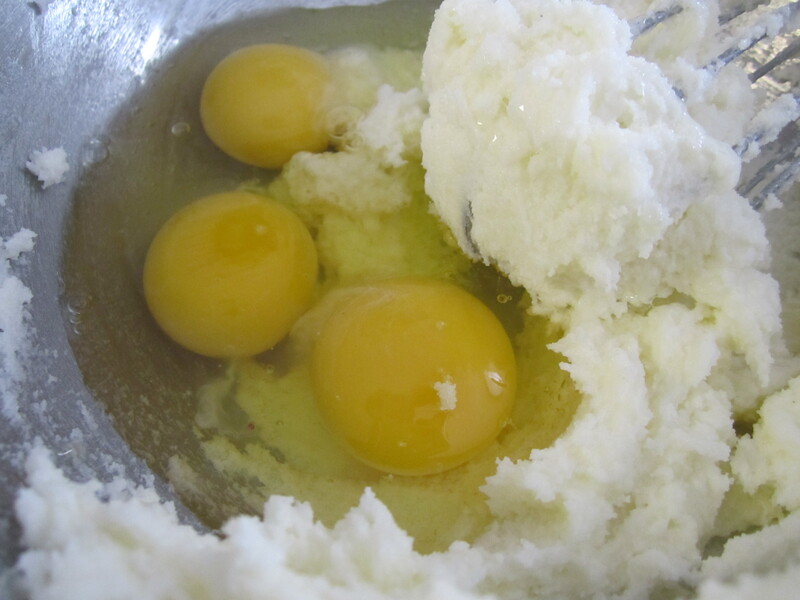 In a large bowl, beat the butter until smooth, about 1 minute. 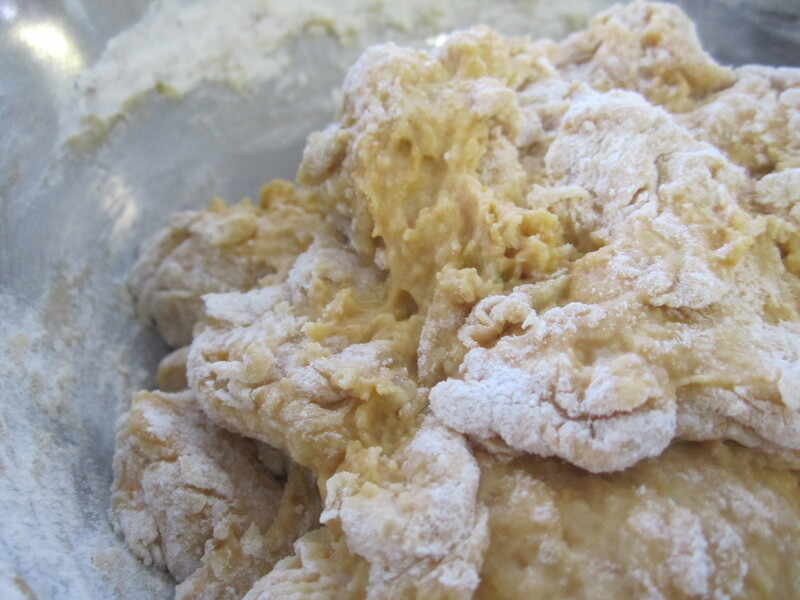 Gradually add the sugar and beat until light and fluffy. It’s not easy to do in a whisk – your arm will be sleepy – but it’s worth it as this smooth incorporation will affect the texture in a positive way later (light and fluffy!). Beat in the eggs, one at a time. Blend in the sour cream and vanilla. 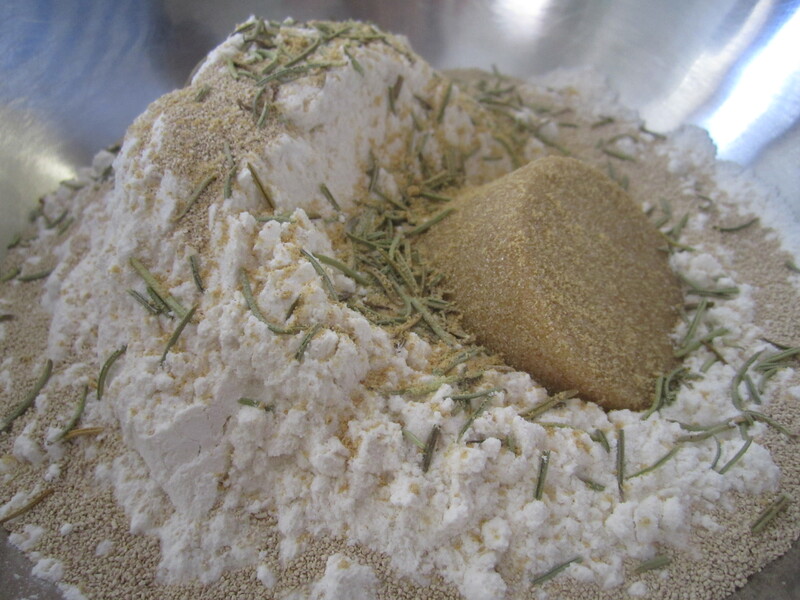 Sift together the flour, baking powder, baking soda, and salt. 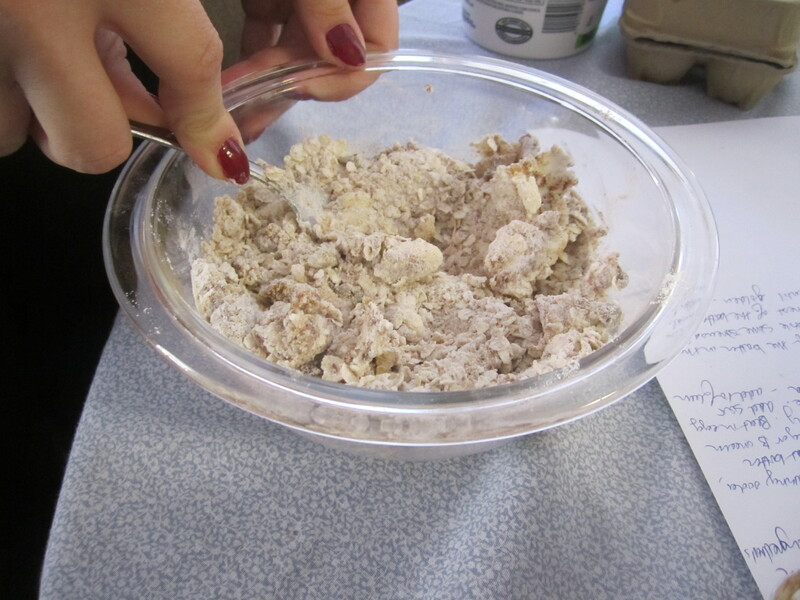 Stir in the flour mixture, mixing until just combined. 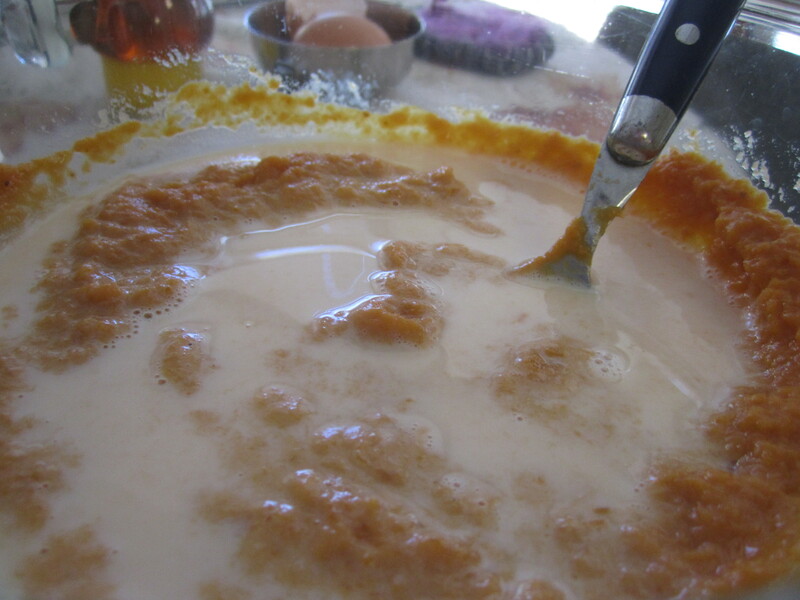 Spread half of the batter in the prepared pan and smooth with a spatula to make it even and flat. 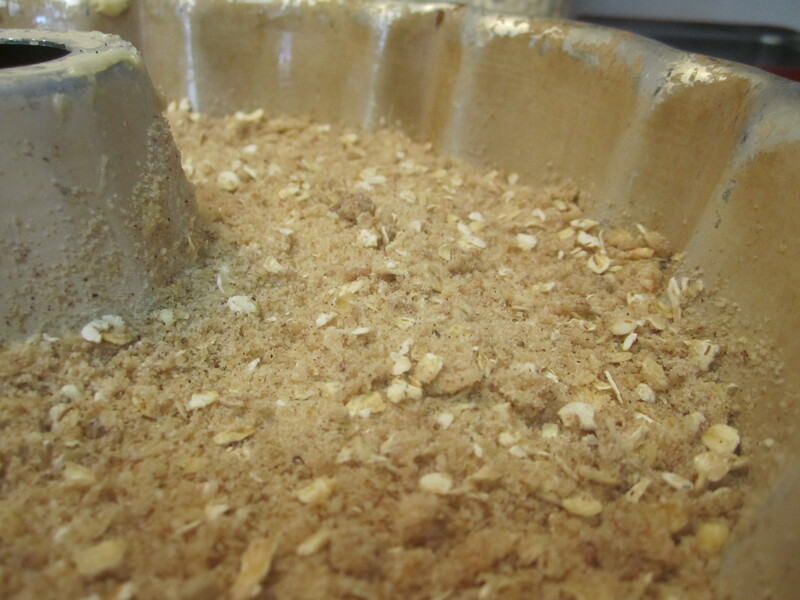 Sprinkle with half of the streusel mixture – again, smoothing with the back of a spoon to keep the layer relatively level. …sprinkle with the remaining streusel. Bake until the cake is golden and pulls away from the sides of the pan, about 50 minutes. It takes a long time to cook, but you’ll smell it when it is done – the top may also crack a little bit. Set on a rack and let cool in the pan for at least 15 minutes. 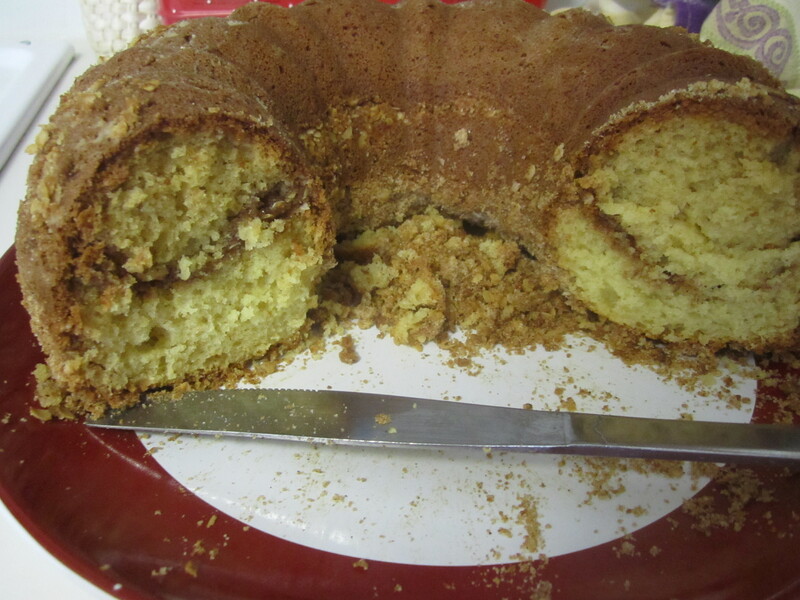 To remove from the Bundt pan, “run” a knife around the edges (really, just poke knife down the sides and lift a small bit all the way around the cake pan). Turn the cake out onto a plate and tap the bottom. If it doesn’t come out, run the knife around the edges again. Tap tap tap. It should pop out with a little patience. I prefer to serve this warm with a hot beverage but it’s just as good cold. Gather your Sunday morning buddies, give them a cawl for cawfee cake and have a bawl ! So it’s my birthday today (exciting !) and since food seems to be my favorite item of conversation, I decided that a potluck event would be appropriate to fete the addition of another candle on the proverbial birthday cake (so to speak…). Naturally, I wasn’t going to let the event go by without making a dish – what if no one brought anything ? What if college kids just brought cookies or chips ??? WE HAVE TO EAT SOMETHING, RIGHT ? Right. Sort of. Not really ? To my pleasant surprise, I was surrounded by such lovely people that I had no reason to fret – worms and dirt, croissants, pita chips and hummus, bean and chicken salad, sweet potato homefries, hungarian and indian style fajitas, multiple bottles of wine and my own tarte set the stage for a fantastic evening between friends. I am quite lucky to know such people – I think it’s safe to say all tummies were satiated. 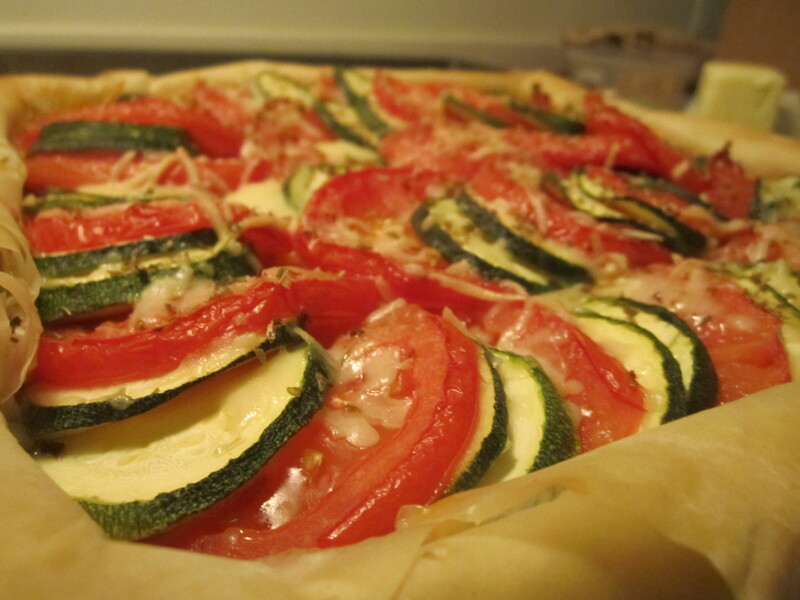 In any case – the ratatouille tarte turned out quite well (if I do say so myself). A recipe hailing from the archives of Food and Wine magazine (My mom clipped it many years ago but dared not make it until many hands were present in the kitchen), this tarte combines the fantastic flavors of the traditional French dish of ratatouille (yes, like the film) with a nice crust of phyllo dough and parmesan cheese. 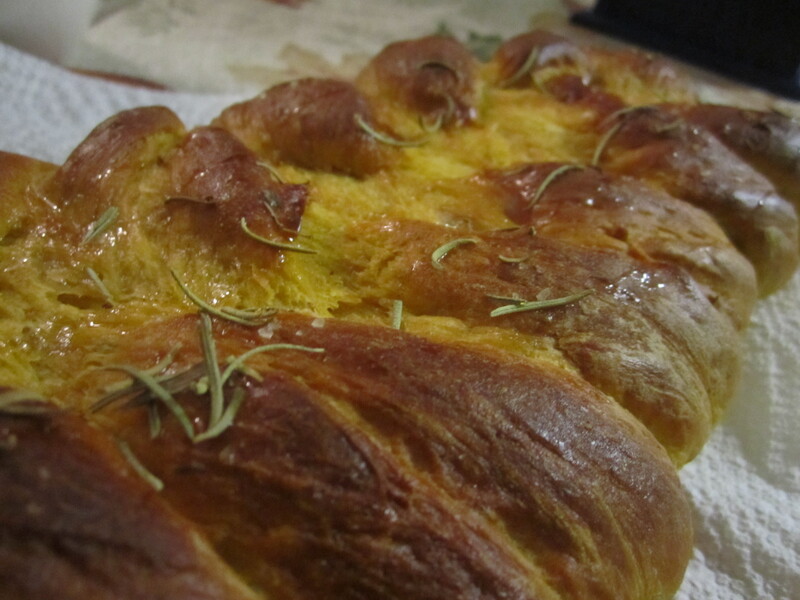 It’s great fresh out of the oven and perfect as lunch the next day. It reminds me of late, indian summers that occur here on the east coast with its strong flavors of zucchini, roma tomato, and eggplant. Preheat oven to 350F. 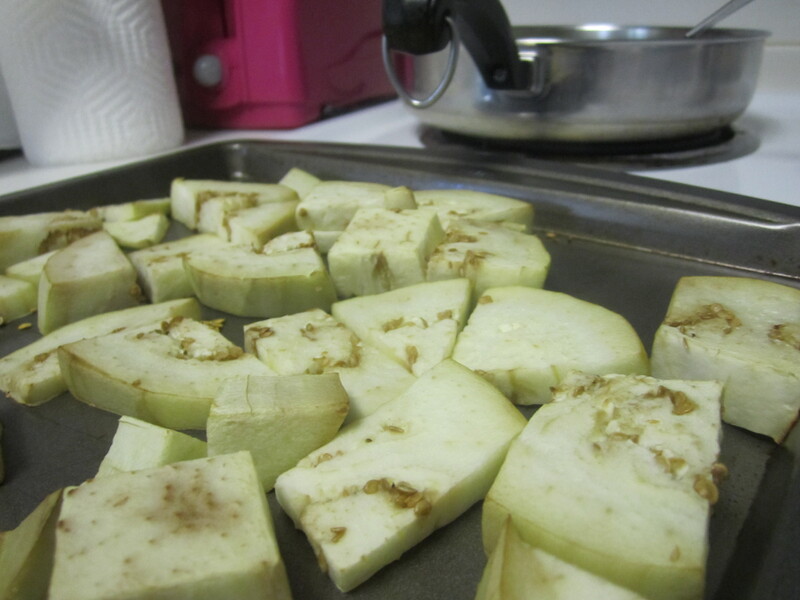 Peel and cut the eggplant into rounds, then cut those rounds into chunks. 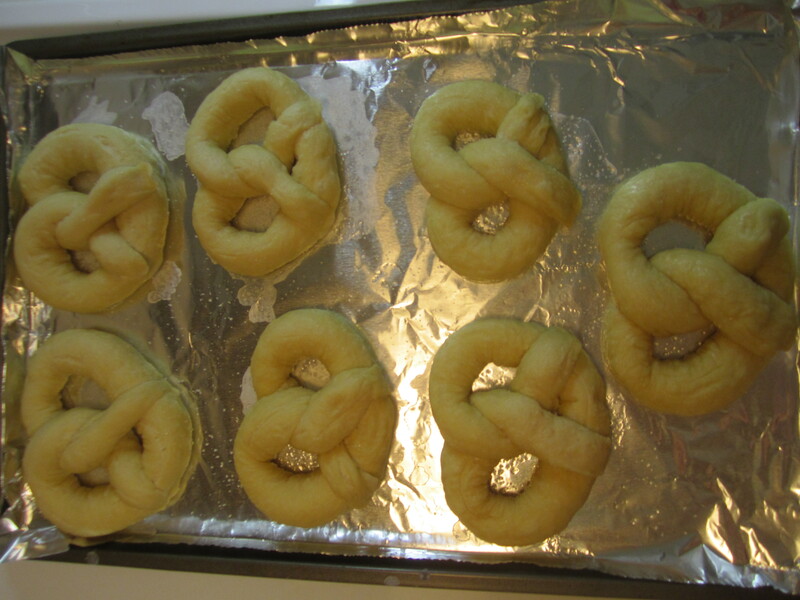 Place these on a baking sheet and toast in the oven for about 10 minutes or until just SLIGHTLY browned. This will help get some of the moisture out of the eggplant. 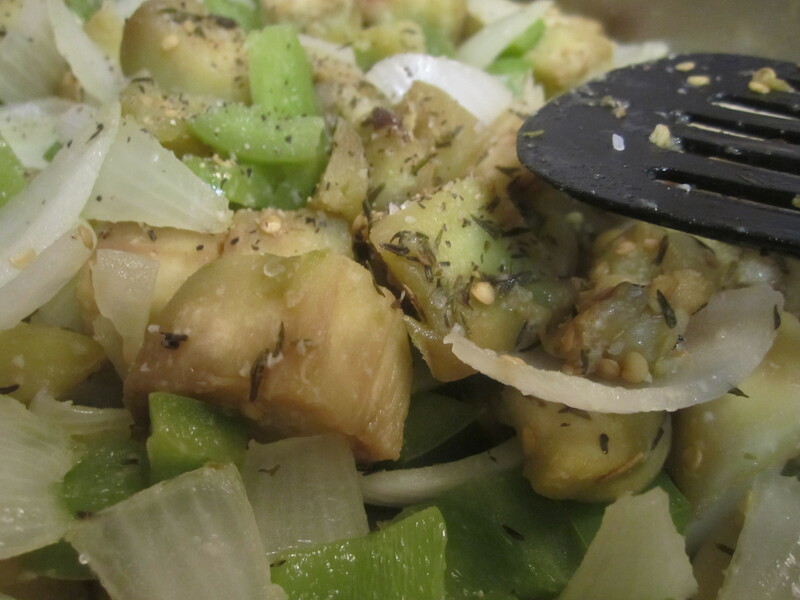 Once toasted, place in a large pan with the onion and the bell pepper and a nice dollop olive oil. Cook until the eggplant is soft – it takes about 10 minutes. I put the eye on medium, but make sure to stir so that nothing sticks to the bottom of the pan. Add the thyme, salt, and pepper and stir. 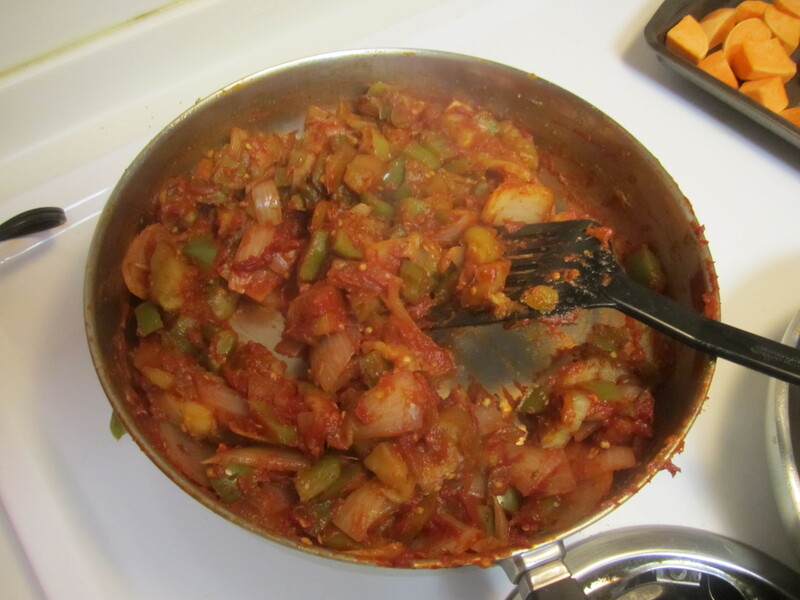 When the onions are translucent, add the tomato paste (the whole can !) and stir to combine. Cover and cook until the moisture has evaporated. This can be prepared in advance (lovely perk). Let sit on the stove until the crust is ready to go. SIDE NOTE : Trader Joe’s now sells phyllo dough ! Make my day ! 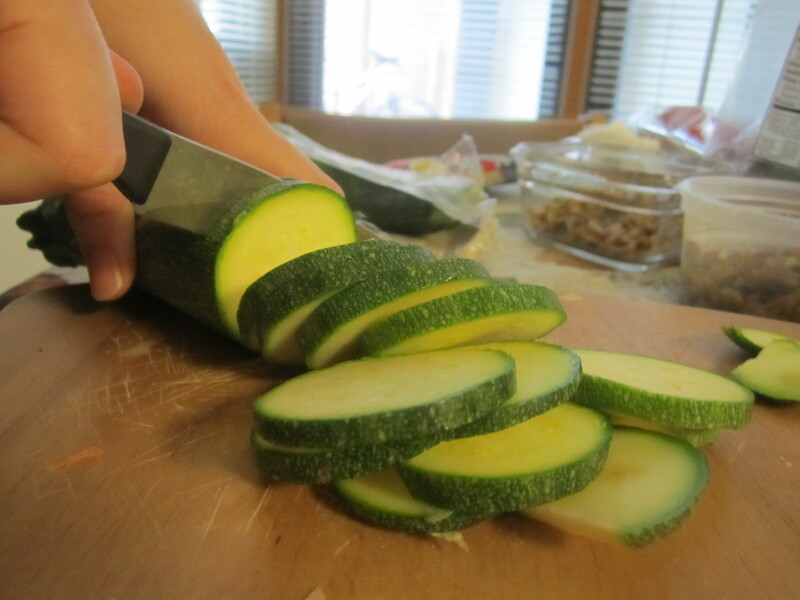 It’s thin and delicious…I’m quite pleased. 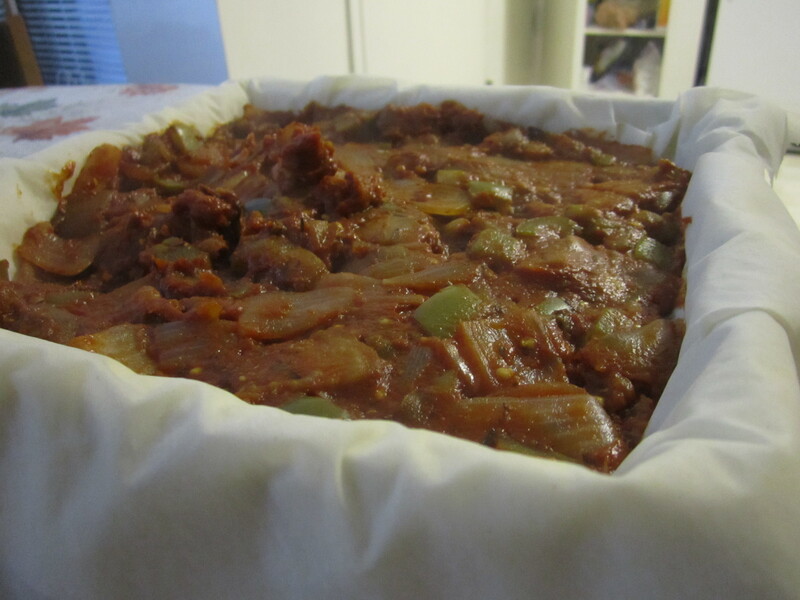 In a tart pan (I used a brownie pan because that’s all I have here…. 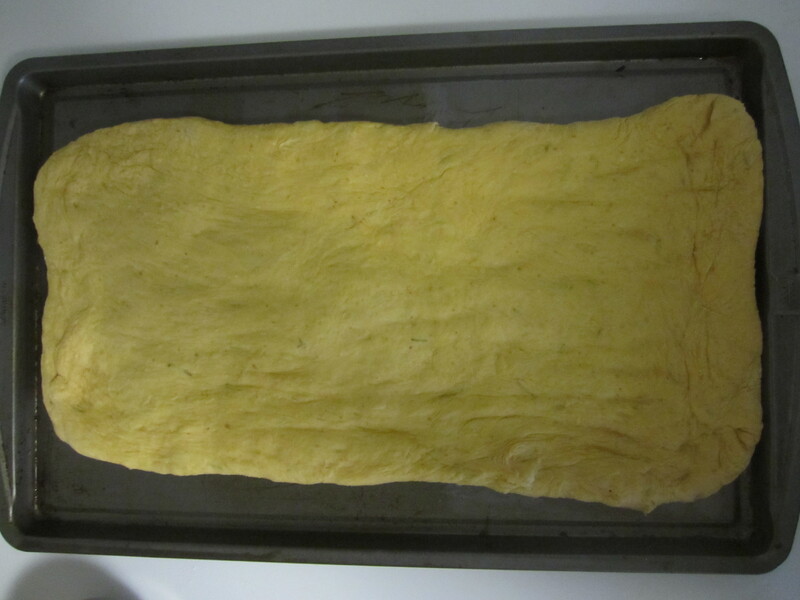 ), place a sheet of phyllo dough. 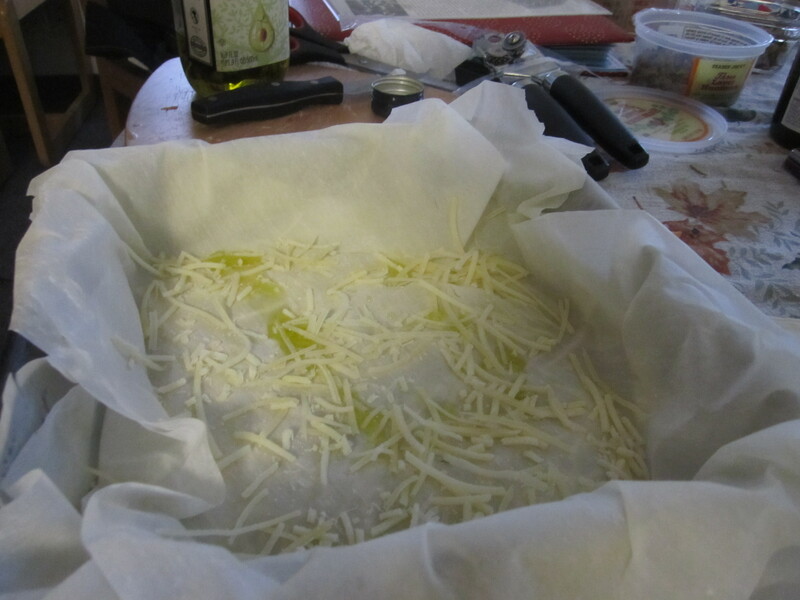 Drizzle olive oil and parmesan cheese on top of the phyllo dough sheet. 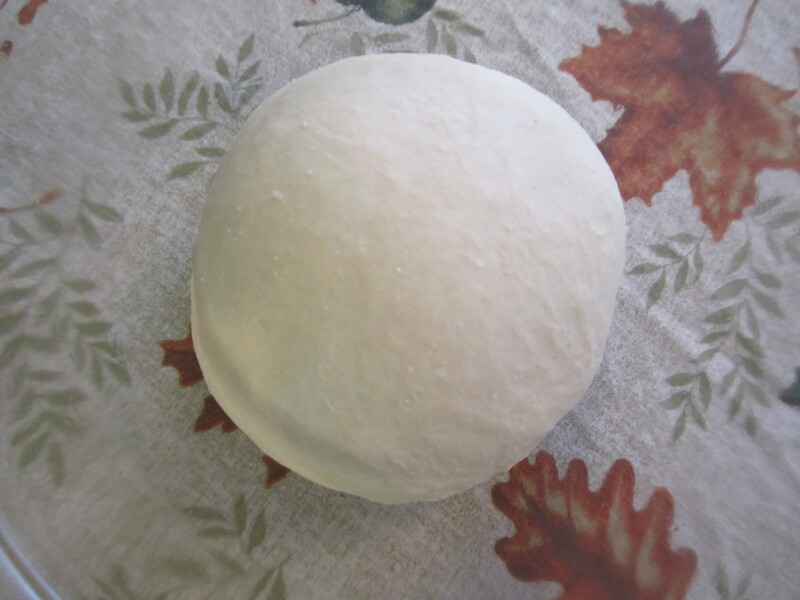 Place the filling on top of the final layer of dough and smoosh down until nice and flat. 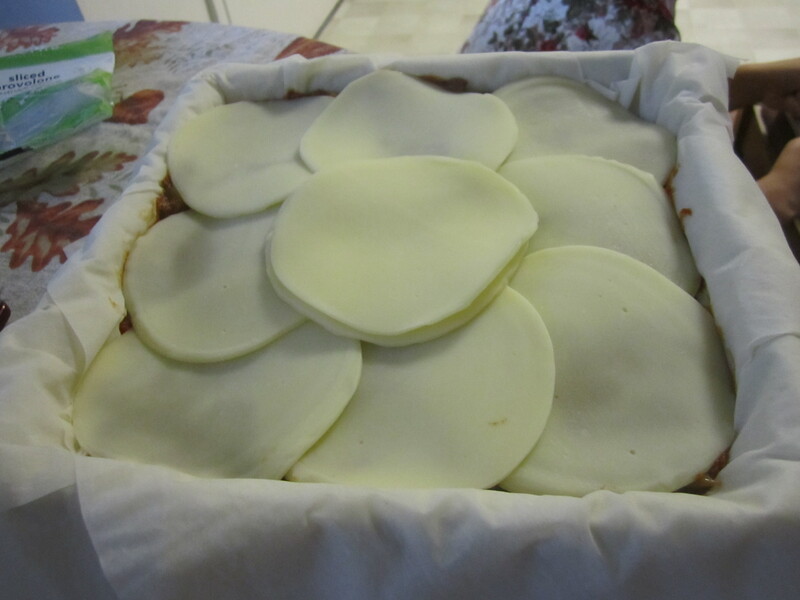 Cover in slices of provolone cheese. 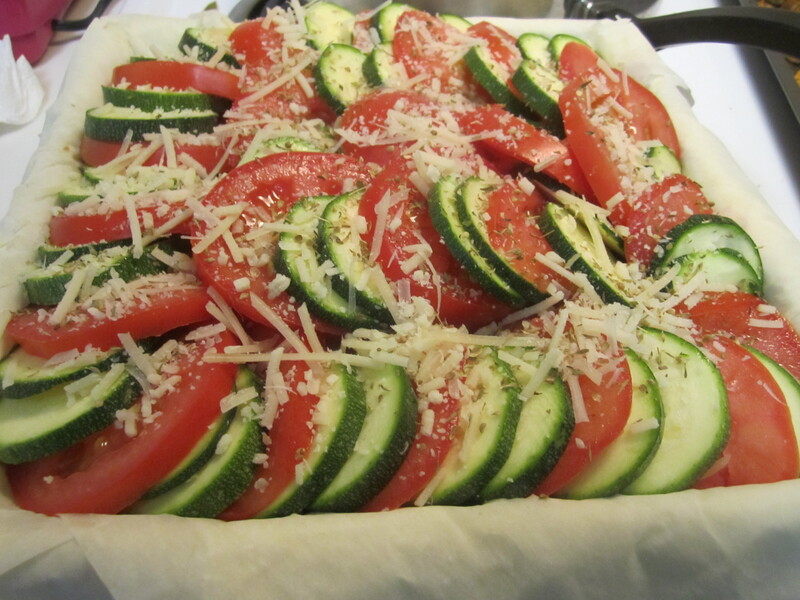 In concentric circles, layer the zucchinis and tomatoes on top of the provolone cheese. 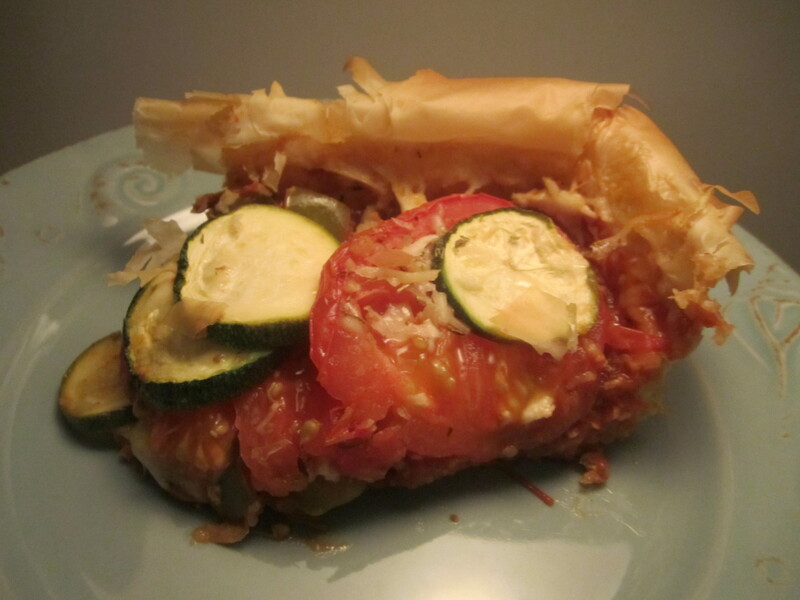 Feel free to arrange the zukes and tomatoes as you like – this is the moment of CREATIVITY ! Go wild ! 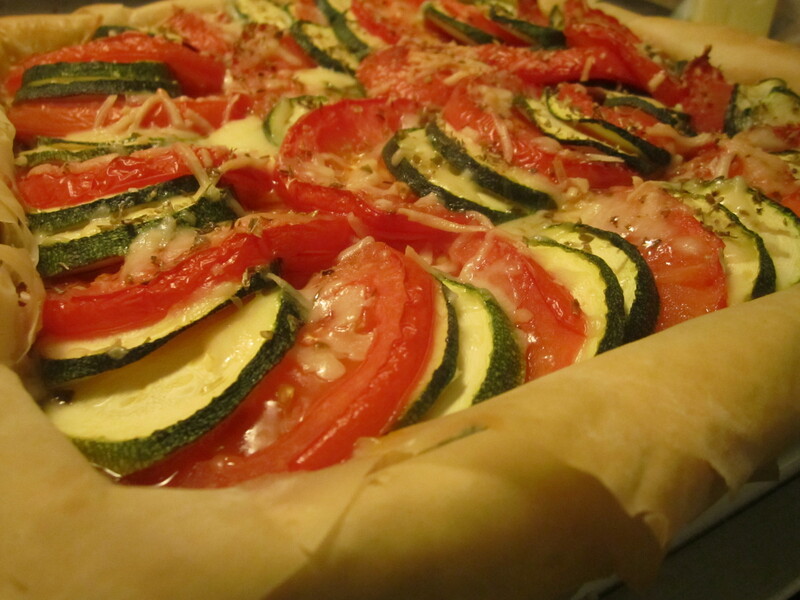 Sprinkle the top with oregano and parmesan cheese. Eat as a main dinner (or lunch the next day) and pretend you’re in the south of France…or at a birthday party surrounded by friends.